Dirtysixer has just launched their Kickstarter campaign. If you’re tall and like biking, then this should excite you. You see, while there are a lot of companies out there building larger bike frames for tall people, Dirtysixer is the first to push a larger wheel size. And by larger, I mean 36″ as apposed to the current largest size which is 29″. The bike evolution leading up to these magnificent wheels was covered in an earlier post here on Tall.Life: Dirtysixer. You might want to check that out. 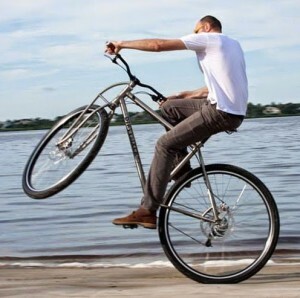 If you are interested in one of these bikes for tall people, then now is the time given they are significantly discounted for the Kickstarter campaign. Oh yeah, one last thing: Shaq is now riding one of these magnificent bikes! Sure I would love one.I am 6ft8in tall.and a cyclist But can not afford that price.. Och, Good luck with the company.. It is needed in our world.. Who makes the wheels and Big question who makes the Tires??? Hi 6ft8incyclist and thanks for your comment and support. Price is the result if American craftsmanship. 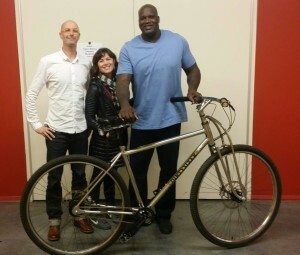 I’m a French transplant and I believe we can fabricate string, beautiful, safe and durable big bicycles here, in America. Our fabricator and neighbor near Sacramento is the best in the USA. We are based in Santa Cruz if you want to come by our workshop and test ride a DirtySixer. We make our wheels and tire selection is getting better, with VeeRubber tires. We are exploring having new thread added too. Hi David, Man I wish your company was around in the 90s I lived in Monterey back at the time.. You could not have found a better place to open your shop at the Santa Cruz,it is almost paradise, Wish I had the money, I just builtup a Road bike Cannondale CAAD10 Campy chorus11speed..Seen you now have booth at Sea Otter, I was a volunteer worker all the time at Sea Otter..
Again wish you the Best of luck and hopefully in a year or 2 I will be placing my order with you…. I’m planning to order a KHS 747 this week. I have some time to decide if a Dirtysixer can be purchased also. 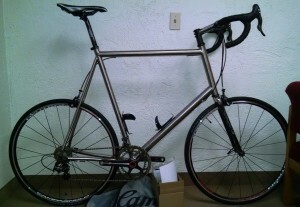 When I saw 36″ bikes being built years ago I was really intrigued. Quick question. Are the drop outs you use for the single speed and Rohloff hub version exactly the same? Hi Rob, here is David – Founder of the DirtySixer. 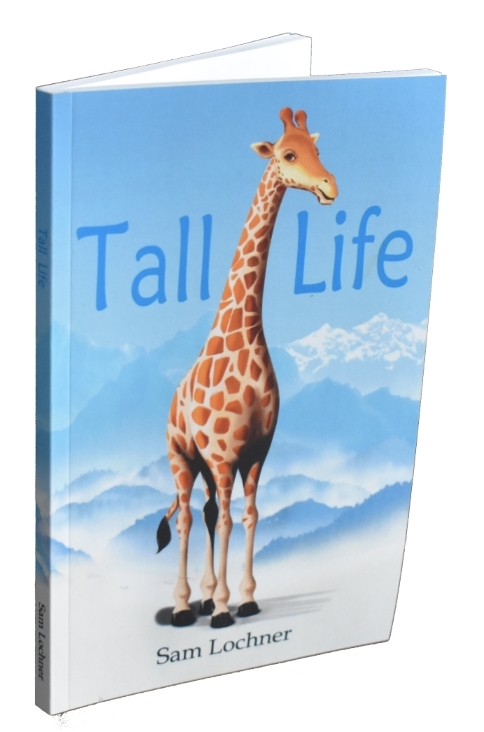 How tall are you btw? Drop outs question: Yes our DirtySixer bikes are all Rohloff ready. This means that if you get a SingleSpeed version now, you can later on upgrade to a Rohloff version. All cable guides are there and drop-outs accept the Rohloff ShiftBox. Same thing if you get a SingleSpeed and want to upgrade later on a 1×11: just ask your local shop to put the Shimano cassette onto your existing wheel, derailleur and shifter. Also same thing of course if you go for a 1×11 and then want a Rohloff. The only difference is that you will have to order a complete new wheel laced with the Rohloff hub of course. If you have any question just email me directly! Same height as you. 6’6″ with an actual inseam of 37″. I’m 6ft 7in tall. Pretty much what my fellow tall brethren said! I am 6’6″ too. So it’s nice to meet you. Why did you choose 36″? I think that size is good for like 7′ or bigger maybe?? Is the reason you chose 36″ because you didn’t want to add suspension and the larger wheel size can make up for this? I would rather have a 32″ wheel with full suspension? 36″ may be too be for me and your size? Maybe I am wrong. I have a 29er right now and it seems pretty good, but I have never ridden a bigger bike so I don’t know what I am missing. I really appreciate what you are doing? Answered prayer for me. There’s a lot of room for new modeks, sizes and improvement. Trying my best being the only one rethinking the entire wheel size concept adapted to us tall, it means I don’t have access to all providers and price break on quantities since we make limited batches once a year with our California fabricator. Email us from the website and we’ll try to find a demo bike depending on where you are located.